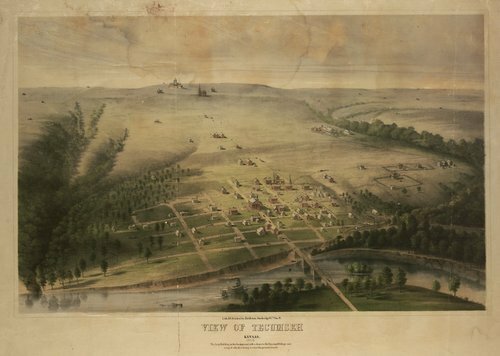 A lithograph of Tecumseh, Kansas Territory, showing the landscape, buildings and the Kansas River. The large building in the background with a dome is the Episcopal College. Creator: Middleton, Strobridge & Co.